Small Business Highlight: 5 Minutes with Nectar and Stone – Paper and Style Co. Since joining Instagram a while ago, I have been overwhelmed by the community of like minded people who share their passion. I want to share with everyone some of the people I have become friends with, had interesting conversations with, and even done business with along the way. I am constantly amazing, motivated and wowed by the amazing talent we have in small businesses here in Australia. I asked a few questions, and these are Caz's words. 1. Tell us how your business began. In December 2012 I started food blogging sweet and savoury recipes. I love to cook and thought that this would be a nice way for me to connect with the world as I was a stay at home mum. I soon found that people liked my work and was being emailed about whether I had a shop where they could purchase my creations - especially the sweet ones. So in July 2013 after building a good following, I officially launched nectar and stone sweet baking and have experienced rapid growth since. 2. 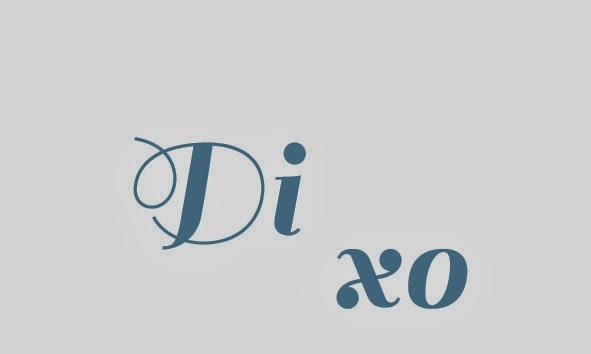 How did you come up with your business name? 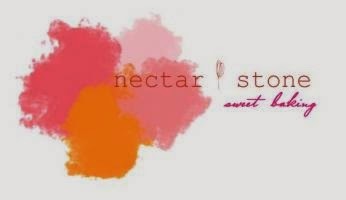 My favourite colours are peach and grey and I love sweets and homewares - so the words nectar and stone seemed to represent this really well. I also chose not to have my name using something obvious like 'sweet' or 'cake'. I felt that that some of the biggest brands I know had names that didn't state what they were and hoped that if I was good enough - I would be able to achieve the same success. 3. Your favourite /worst part of being in business? My favourite part of being in business is being my own boss and making my own decisions. It is a really rewarding experience being able to see something you have created grow. The worst thing about being in business, well as a sole owner, it means that most times you do everything yourself. In my case, this is emails, website, graphics, photography, baking, cleaning etc etc - I have pretty much taught myself everything from scratch and probably the reason why nectar and stone has a distinct style to it. 4. What do you think makes your business a success? I think being creative, original, disciplined and consistent. It's easy to follow what everyone else is doing but harder to be a leader. And I like to stand out from the crowd so I opt to do things my way. I also really respect my work and I take time to photograph my desserts in a style that represents nectar and stone. I want my clients, followers and potential clients to know that I take care with my work in every aspect. 5. Did you have any formal training to get where you are today? No formal training, just a lot of baking, reading and trialling. Because I have been baking for a long time, I have gained a good understanding of the science behind it and therefore most recipes are of my own creation. 6. What makes you stand out above all other bakers? I'd like to think that I am original and creative. I steer away from following what others are doing in the baking industry. As I love fashion, I tend to get inspired by what stylists and designers in this industry are doing and therefore my work is influenced by this rather than what the cake world is doing. It's amazing really, as someone recently took a picture of my work and uploaded it on instagram, shortly after another person said - that must be nectar and stone. It's amazing how people recognise my work and style. 7. What did you want to be growing up as a child? I wanted to be a public speaker - like a politician and I actually majored this in University but I always used my spare time to be creative as it was my outlet. I somehow ended up being in the fashion industry and now baking world. I think somehow you always end up with what you are destined to do. I will post about different business every Monday. If you are interested in being included please email me at paperandstyleco@gmail.com I'd love to hear from you! Please visit Nectar and Stone to see her gorgeous creations.